I feel like the display is one of the key points with the Surface Book. Microsoft calls it a PixelSense display - named for its capacitive touch and stylus capabilities - and they have added some technology to really move this display forward. As with all of the Surface devices now, it supports touch, and pen input, and it has a 3:2 aspect ratio. The aspect ratio is really one of the key features. When Microsoft moved to 3:2 with the Surface Pro 3, it instantly transformed that device and made it much better as both a tablet and a notebook. When the Clipboard is detached, the 3:2 13.5-inch display is every bit as good as the Surface Pro 4, only a bit larger. It works much better in portrait than 16:9 ever did. Clip it on the base, and you now have a notebook display with enough vertical pixels to cut down on the amount of scrolling you need to do. For many of us, the constant move to 16:9 on notebooks was a painful process to watch, and with the Surface Book, you jump right past 16:10 to an even taller aspect ratio. When you snap two apps to the side, you effectively have two 3:4 workspaces, making multitasking much better. There is more physical display available on the 13.5-inch Surface Book than a 14-inch 16:9 display. 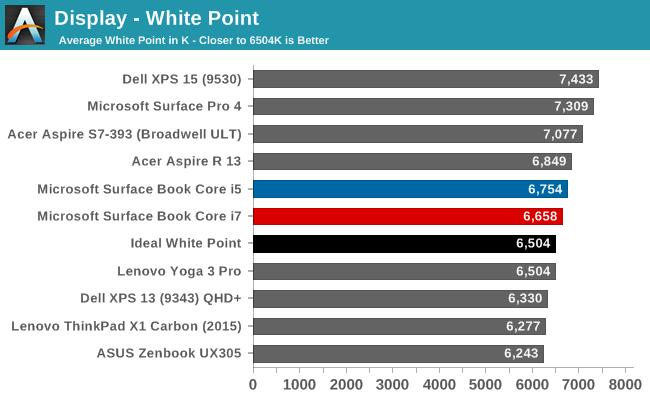 So even though it would be easy to compare the Surface Book to 13.3-inch Ultrabooks, it offers even more screen than the 14-inch models. Microsoft has created their own touch and pen controller, which they are calling the G5 chipset. This is the same as the Surface Pro 4, and the goal is to reduce latency on both touch and pen. It actually leverages the GPU for some functions since the GPU has a lot more capabilities and power available. 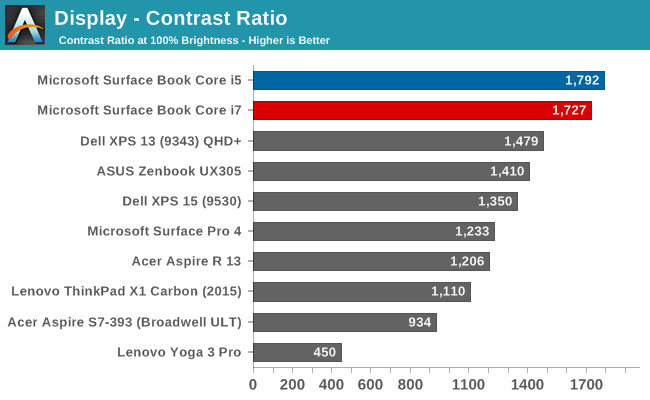 Despite the larger display than the Surface Pro 4, it shares the exact same pixel density at 267 pixels per inch. This is done with a 3000x2000 resolution, and it is incredibly sharp. Text rendering on it is fantastic, and it would be pretty difficult to discern individual pixels at any sort of normal distance. This is what they look like though. So with all of these similarities with the Surface Pro 4, it would be easy to assume that Microsoft is using the same Samsung IGZO panel, but that is actually not the case. Microsoft has opted to go with a display from Panasonic, and it’s not IGZO which was a bit surprising with the high DPI on tap. Instead, it is a traditional amorphous silicon panel, so it won’t offer the same power savings of IGZO. Instead, Microsoft wanted to focus on contrast on this display. At the launch event, Panos Panay claimed this notebook had 1700:1 contrast ratio, which, if true, would make it one of the highest contrasts on any notebook, if not the actual highest on any notebook for sale today, and this was done, in part, with the help of photo-alignment. Microsoft has also stated that each Surface Book will be individually calibrated for sRGB, which is important since you generally can’t calibrate a notebooks’s colors after the fact. To test these claims, we use SpectraCal’s CalMAN 5 software suite with an X-Rite i1Display Pro colorimeter for brightness and contrast measurements, and an i1Pro spectrophotometer for testing color accuracy. Since I have two Surface Books, I’ve run the tests on both so we can check how the calibration is done on more than one device. 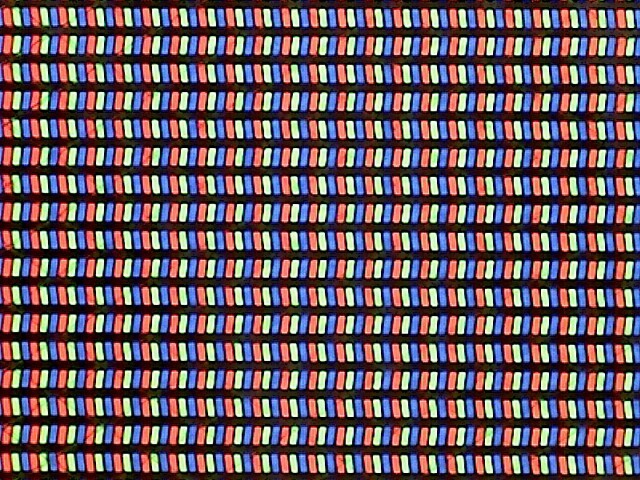 Our first test gets right to the heart of the claim from Microsoft, and sure enough, the Panasonic panel is able to deliver over 1700:1 on contrast. The best part is that the panel has achieved this with amazing black levels, and watching movies on the Surface Book really brings out a lot more detail in dark scenes than most devices are capable of. The brightness is also very good. The Core i5 model that I have has 462 nits of brightness and almost 1800:1 contrast, edging out the Core i7 sample. 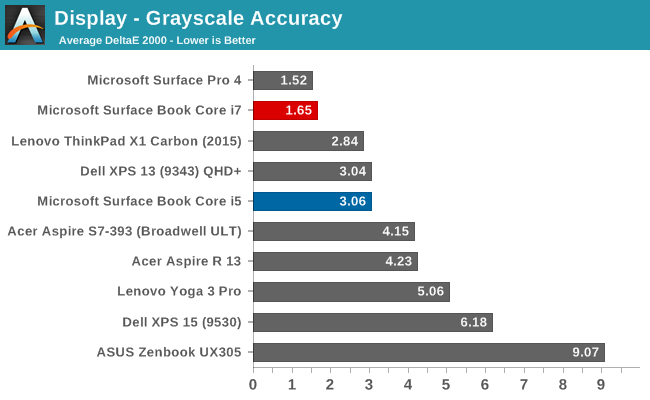 Both models do ok in this test, but the Core i5 model, which was a pre-production sample, had some issues with grayscale, especially as the brightness went up. 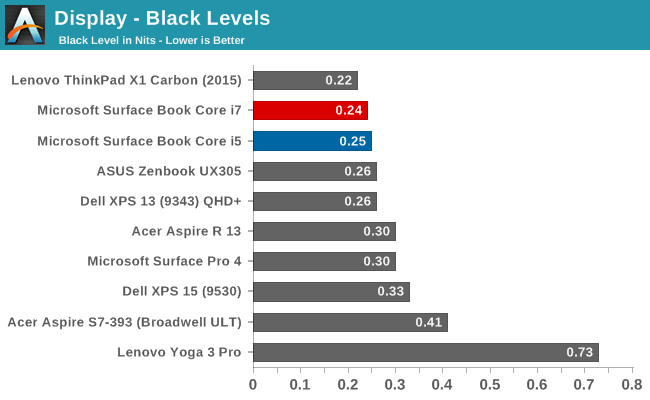 The Core i7 model, which is a retail sample, seems to be much better here, but with just a sample size of two, it’s difficult to say if this is just luck of the draw. 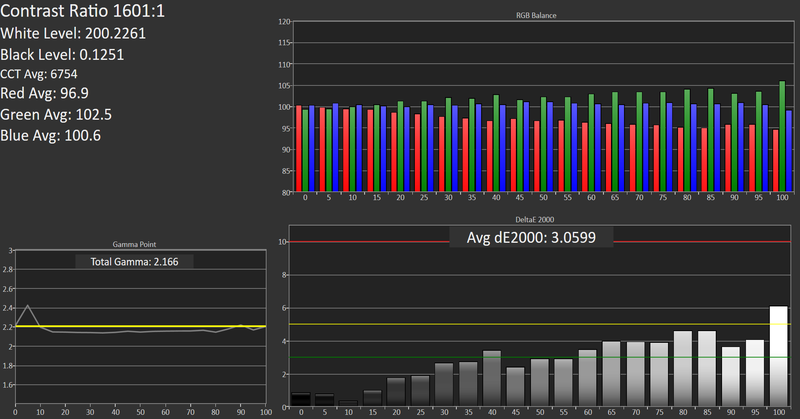 Color temperatures are very close to where they should be as well, and both keep gamma in check which is nice to see. 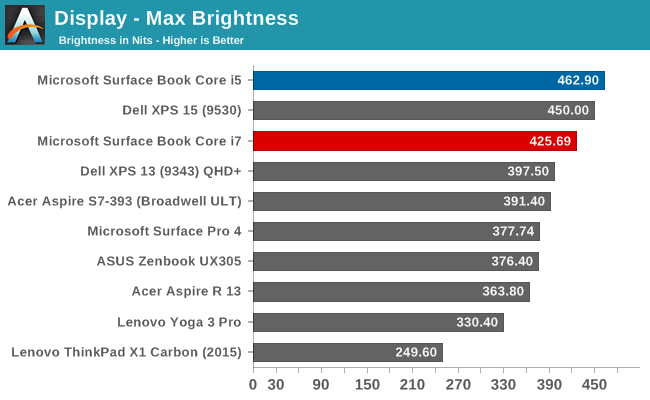 Once again, the Core i7 model outperforms the Core i5 pre-production model here, and by quite a bit, although both are well under the limit where you would be able to detect an issue. Both devices can pretty much cover 100% of the sRGB color space. 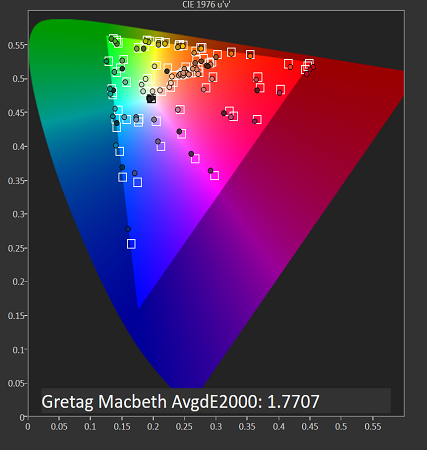 The most comprehensive test is the Gretag Macbeth, which tests not only the standard sweeps, but also many of the colors in-between, including skin tones. Both models do very well here, with pretty much none of the individual results scoring over 3.0. 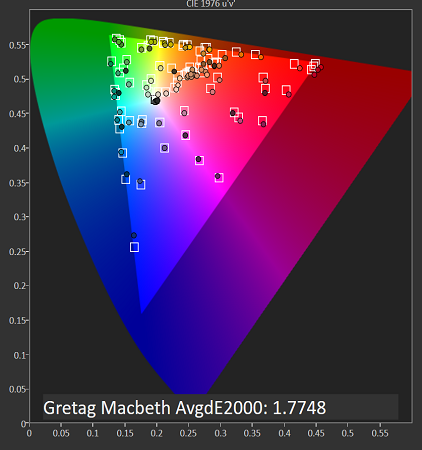 Looking at what all of this means, we can leverage these color comparators, which show the display’s intended color on the bottom, and the actual result on the top. 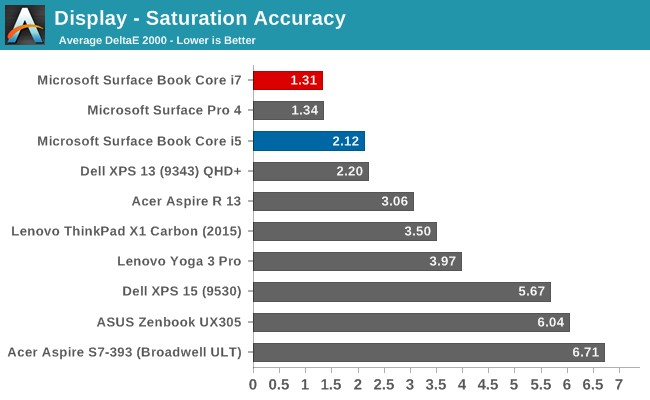 This is a relative comparison, because any inaccuracies in your own display would skew the results. Both models show very accurate colors, with little differentiation between the top and bottom parts of the images. 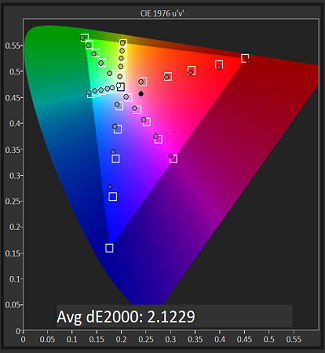 Microsoft has promised 100% sRGB coverage as well as individually calibrated panels, and it looks like they have done very well. 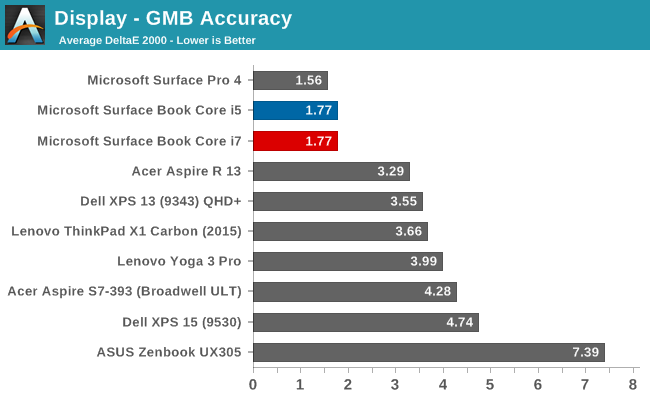 The Core i7 model in particular, which is a retail sample, has no issues at all with the display accuracy. It’s interesting that they did not go with IGZO technology with the Surface Book like they did with the Surface Pro 4, but the Panasonic panel has amazing contrast, and the backlighting provides great brightness despite the amorphous silicon TFT. The black levels are very good on this display, and accuracy is certainly good enough for almost anyone’s needs. The high accuracy, combined with the high resolution, make the Surface Book one of the nicest displays around, and it’s a pleasure to use. The days of high DPI being a real issue on Windows is slowly fading away, although there are still plenty of programs that do not play well. 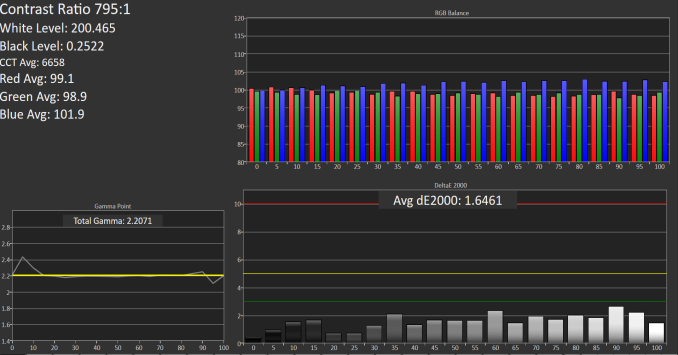 It really depends on what exact programs you have, but for most of my workflow high DPI is not a problem at all. Adobe has updated their apps to support higher resolution panels, for example. I’ve been using high DPI Windows PCs for several years now, and although there are still some apps that fall back to DPI virtualization, it’s not been an issue most of the time. If the Universal Windows App platform takes off, this will be well and truly solved, but that has not happened quite yet.